You probably reach for instant ramen when you’re too tired to cook. I don’t blame you. 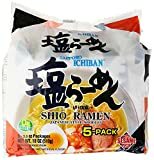 Instant ramen gives you a quick, easy, and tasty meal. But did you know instant ramen was created to feed the poor, hungry people of Japan after World War II? You’ll get a quick history of instant ramen in this article. We’ll also cover the brilliant man behind the worldwide phenomenon. And then I’ll give you a list of the ten best Japanese instant ramen. You’ll find quite a few classic favorites mixed in with the newer products. But before we discuss the different types you should try, let’s take a quick tour through the history of instant ramen. Momofuku Ando became something of a hero in the late 1950’s. He began work on what would eventually become instant ramen. Ando’s hometown (Osaka) was devastated after World War II. The people suffered from food shortages. So Ando made it his mission to feed postwar Japan and, eventually, the world. And of course – tasty (this was Japan, after all). So he chose ramen, which was already a favorite Japanese comfort food. He tinkered with various methods and tried several different ideas. None of them seemed to work. Finally, he came up with a brilliant solution: flash-frying noodles. Flash-frying noodles dehydrates them. It also creates tiny holes in the noodles. These holes help the noodles cook faster. Ando created the very first instant ramen with his flash-frying method. It would go on to fulfill his dream of feeding the world – especially during times of crisis and devastation. Ando’s first product, Chikin Ramen, was a huge hit when it came out in 1958. It’s still popular today (it’s on the top 10 list below). Cup Noodles hit the market in 1971. Ando created Cup Noodles after he observed Americans eating ramen out of cups, due to a lack of bowls. 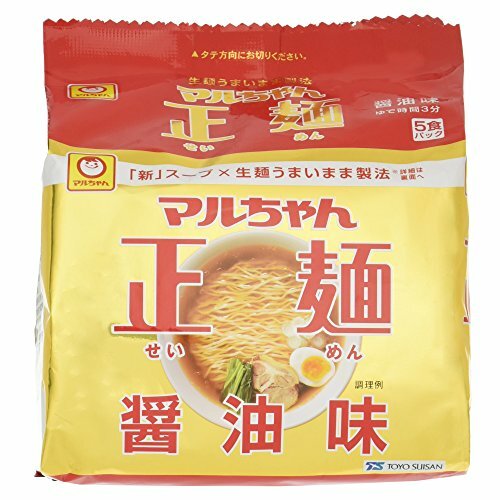 The noodles in instant ramen are cut shorter for foreign markets. People who don’t like to slurp noodles can eat them with a fork. In a 2000 poll, the Japanese people named instant ramen the greatest invention of the century! You’re now familiar with the fun history and the face behind instant ramen. Let’s dig right in and give you a list of the 10 best Japanese instant ramen you should try. Maruchan Seimen stands apart in a league of its own. It’s a cut above the rest because of the way it gets made. It also features super high-quality ingredients. First, fresh ramen noodles get loosened. This makes it easier to separate them later without breaking them. Next, the noodles get dried with high heat (not flash-fried). The process locks in the fresh noodle flavor without adding any oil. The final result? Your noodles almost don’t taste like instant ramen. Maruchan Seimen comes with liquid soup packets instead of powder. You blend the powder with the water the noodles cooked in for a full-bodied soup. Shoyu is the most popular flavor, but you have several other options. These options rank equally high on the delicious scale. Your choices include miso, tonkotsu, tonkotsu-shoyu, and shio. Technology continues to advance. Instant ramen gets closer and closer to real, freshly made ramen. Maruchan Seimen leads the way. 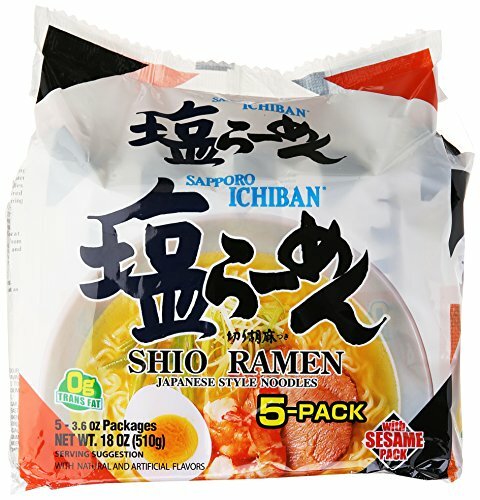 Sapporo Ichiban Shio was created in 1971. It still tops favorite lists across Japan. Even professional chefs love this ramen! It’s often described as the soup you can’t get sick of… because of the mild flavors and refreshing clear broth. The soup has a chicken and pork base. The base blends with aromatics like onion and garlic for a light yet flavorful soup. The noodles have yamaimo (Japanese mountain yam) kneaded into them. It gives them a pleasantly chewy consistency. For a final punch of rich, nutty flavor, it comes with a packet of ground sesame seeds to sprinkle on top. Delicious. This is a specialty ramen from Kumamoto, a prefecture on the island of Kyushu in Japan. The ramen combines rich tonkotsu soup with browned garlic and black garlic sesame oil. You get layers upon layers of flavor. Kumamoto ramen contains a lot of garlic! Besides being delicious, the garlic helps balance out the strong scent of pork bone in the soup. 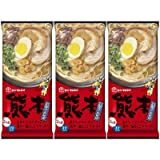 Each package of Marutai Kumamoto Tonkotsu comes with two servings… and not those fake servings you often see on instant ramen labels! 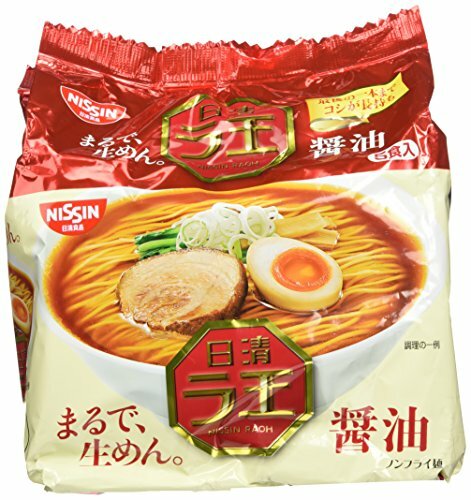 Like Maruchan Seimen, Nissin’s Raoh Shoyu isn’t fried. It’s pretty darn close, in flavor and consistency, to freshly made ramen. Roah Shoyu gives you a refined chicken broth and soy sauce soup base. The ramen also contains dried menma powder (seasoned bamboo shoots). Menma is a popular topping for ramen. It really boosts the flavor. Did you know tonkotsu ramen originated in Kyushu? And since 1979, Umakacchan has been the tonkotsu instant ramen of choice for the people of Kyushu… who know their tonkotsu. The famous pork bone broth is mild and creamy, making this a rich, hearty ramen. If you like pork (even a little), I strongly suggest you try it! Japanese famous instant noodle with Hakata pork born creamy soup. 5 different flavor x 2servings. Only sold in Fukuoka region in Japan. cook 3 min. with 550ml of boiling water, add powder soup at the end. Cup Noodles was created by Ando Momofuku in 1971. It has fans all over the world. In fact, it’s sold in more than 80 countries. Sales of Cup Noodles outside of Japan made up 70% of the total in 2015. 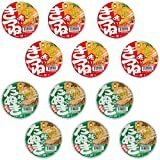 But there are major differences between Japanese Cup Noodles and the exported variety. They use different flavors, toppings, and packaging. 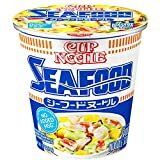 I had my first Cup Noodle Seafood as a kid. My mom bought a Cup Noodle from a vending machine at our local pool. I enjoyed the ramen under the merciless Japanese summer sun. 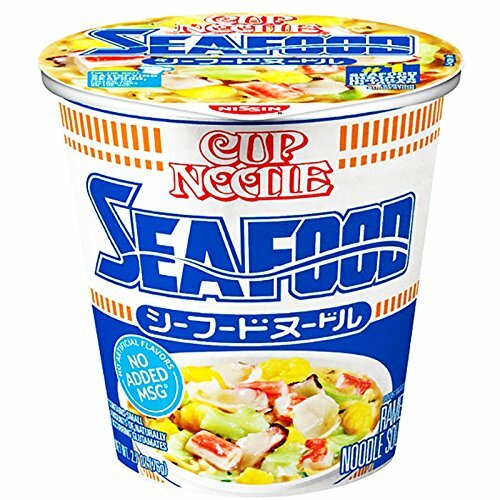 Once I tried the seafood, I simply could not have any other Cup Noodle flavor. It offers a delicious seafood broth with a rich, almost buttery flavor. You can get toppings like egg, imitation crab, shrimp, and cabbage. But to be fair, Cup Noodle offers many other delicious flavors as well. They include Chili Tomato, Curry, and an intriguing Pizza Potato Tomato flavor. The pizza tomato flavor just hit the market. I’m looking forward to trying it. It might sound odd… but sometimes the oddest sounding food combinations work well together! All the flavors are worth checking out. I’m slowly but steadily working my way through them! 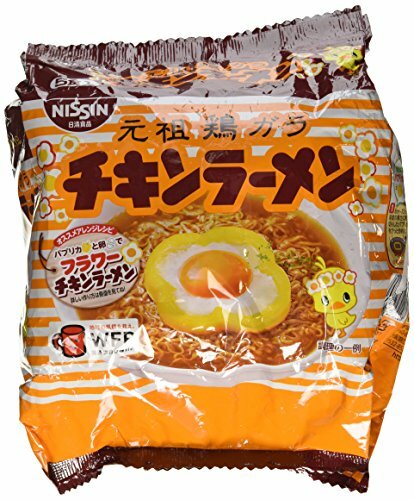 This was the first instant ramen to hit the market. Ando began selling his creation in 1958. Chikin Ramen is, amazingly, still a best-seller. Adults and children both love Chikin Ramen. The appeal comes from the simplicity. There’s no flavor packet. You simply place your block of noodles in a bowl, pour hot water, and cover. Many people like to add an egg. The noodle block conveniently comes with an “egg pocket”. This round indentation holds a raw egg. The egg gets partially cooked during the process. The egg yolk oozes into the soup as you eat your ramen. Words can’t describe the experience. You have to try the oozing egg to believe how good the yolk tastes… it takes things to a whole other level of delicious flavor and texture! Wantanmen is another beloved classic. The nostalgia-evoking package hasn’t changed in over 50 years. It offers a unique broth made with a katsuobushi (dried bonito) base. The ramen gets made with onion and other aromatics, plus a hint of matsutake (Japanese “luxury” mushroom). They combine to make this a light yet flavorful soup. You also get wontons. They soak up the delicious flavors and add a textural element to the otherwise plain noodles. Wantanmen was my favorite instant ramen growing up in Japan. I occasionally still have one… not for old times’ sake, but because it’s just that good! The Wantanmen cup (instead of the one in a bag) contains thinly-sliced kamaboko (fish cake). They come in the shape of little pigs. 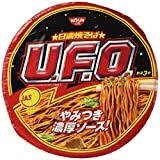 UFO Yakisoba isn’t an instant ramen. Even so, it still deserves a spot on the list. 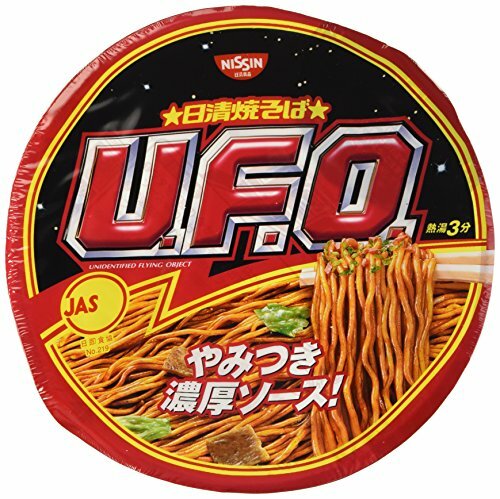 There’s something indescribably delicious about UFO Yakisoba. Is it the sauce? Is it the little pieces of cabbage? Is it all the memories attached to it? Maybe it’s a combination of everything. On second thought, it might be the rich, almost spicy yakisoba sauce you get in liquid form. Whatever it is, I crave a UFO every now and then. Along with dehydrated cabbage and meat, UFO Yakisoba comes with a packet of dried seaweed flakes. You also get powdered red ginger. All these ingredients combine to give you an authentic yakisoba experience. You make instant yakisoba a bit differently than instant ramen. You start by adding the veggie/meat packet to the noodles. Then you pour boiling water into the container. After three minutes, pour out the water from an open corner of the container. This keeps the noodles inside. Finally, add the sauce packet and mix it all up. Garnish your ramen with seaweed and red ginger. The trick with UFO Yakisoba is to wait three minutes after pouring the water in. Not a second more. If you wait too long, your noodles will get a bit mushy. The Maruchan Japanese-style noodle series is another non-ramen good enough to make the list. 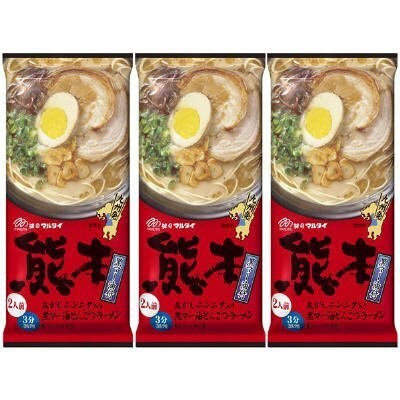 The red package contains kitsune udon – udon noodles in dashi soup with seasoned fried tofu. The green package contains tanuki soba – buckwheat soba noodles with tempura. Akai Kitsune created a buzz when it came out in 1975. 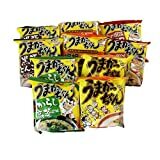 It was one of the few Japanese-style instant noodles on the market. 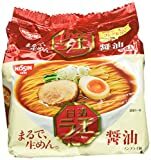 Most instant ramen is Chinese-style. These instant noodles give you an authentic, great-tasting dashi broth. It’s made with a blend of two different kinds of katsuobushi. Not in the mood for ramen but still want a warm bowl of comfort food? These Japanese-style instant noodles might be just what you need! Maruchan Instant Udon Noodle (Akai Kitsune Udon) in 3.39oz (96g) bowl. Product of Japan. 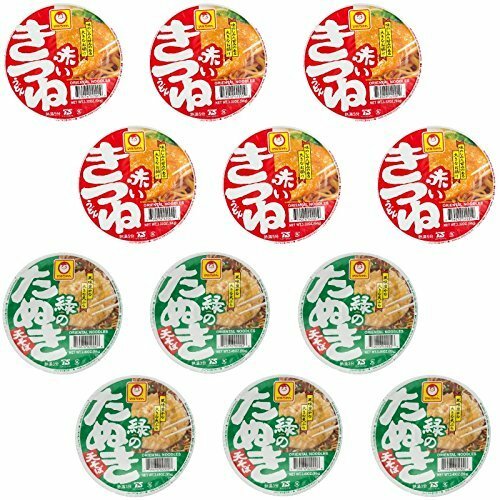 Maruchan - Midori No Tanuki Instant Soba Bowl is buckwheat noodles in a hot broth topped with deep-fried tempura batter. 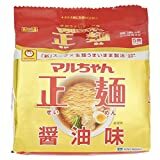 Do You Have a Favorite Japanese Instant Ramen? If so, please let us know in the comments. 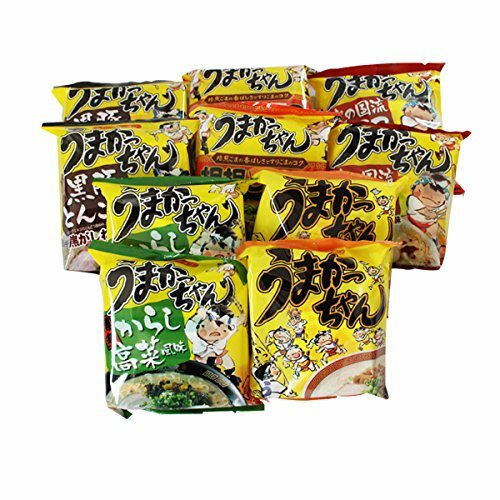 What do you like about your favorite instant ramen? How does it compare with the ramen on our list? We’d love to hear what you think! Also, let us know if any of the ramen on the list whet your appetite. What types have you already tried? Which one do you want to try the most? 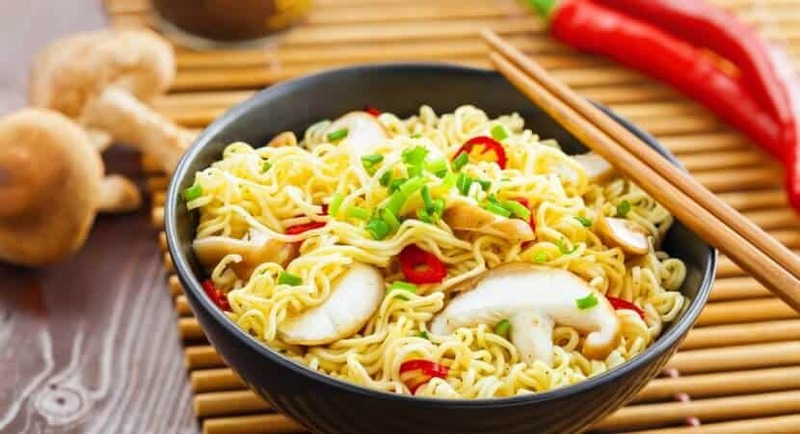 Don’t forget to share this article with your friends who like noodle dishes. They’ll gladly thank you once they try a few of these ramen. Tell them you’ll accept some Cup Noodle Seafood as a token of their gratitude!